Brantford – At 5:30 a.m. on Friday, Sept. 14, the doors to the Laurier Brantford YMCA will officially open, providing members – including students from the Brantford campuses of Wilfrid Laurier University and Conestoga College – with access to the newly built facility. 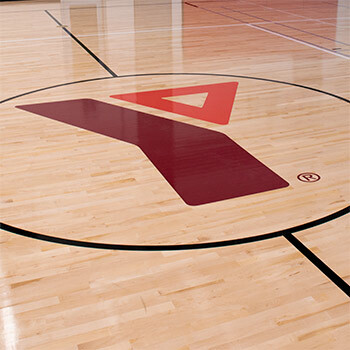 Recognizing the great community interest in the project, Laurier and the YMCA will host open house events on Friday, Sept. 14 from 6 p.m. to 8 p.m., and on Saturday, Sept. 15 from 2 p.m. to 4 p.m. to showcase the four-level structure’s amenities. Guests can enter via either the Colborne St. or Water St. entrances. Kitchen describes the weekend’s open house as a “soft” opening. An atrium wall in the Water St. entrance to the new Laurier Brantford YMCA recognizes major donors to the project. This partnership between the YMCA and a post-secondary institution is believed to be the first of its kind in North America. Aquatics Centre with two tank pool for lane swimming, swim lessons, aquatic fitness and therapy, plus an on-deck hot tub for teaching, fitness, therapy and leisure. Five inclusive member change rooms, which include: Family/Universal Access, Adult General Male and Female, and Adult-Only Male and Female change rooms, plus four team change rooms for Laurier Athletics and other special events. Youth Zone for recreational, social and leadership development programs. Double gym designed for sports and competition with retractable stadium seating for 860 people, plus taping and first aid room for event athletic therapists. Single gym for drop-in sports and larger programs. Fitness Centre with state-of-the-art stretching, small group training, cable machines and cardio equipment with Wi-Fi capabilities for fitness programs and access to apps. Health intake consultation rooms for specialized community-based health care programs in partnership with Hamilton Health Sciences and Brant Community Healthcare System. Three studios for a large variety of group fitness classes, including Cycle Fit and dance. Multi-purpose spaces for social, educational and cultural programming. 3,498 square foot strength area for strength equipment, pin loaded and free weights (2.5 to 100 lbs). Student Lounge for group work and socialization. Members enjoy two hours of free parking at the parkade, which is linked to the Colborne St. entrance via a pedestrian walkway. Information regarding membership, aquatics lessons, fitness class schedules and more can be found online.